Frida Kahlo Tequila is made from 100% pure blue agave and hand-crafted to the highest standards.The Añejo is aged after fermentation in American Oak casks for at least three years before bottling. The result is exquisitely smooth, super-premium tequila that, like a fine cognac, is meant to be sipped and savored. 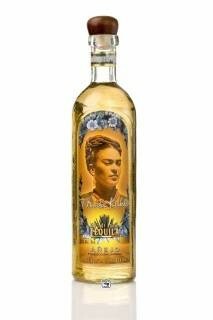 Frida Kahlo Tequila is made from 100% pure blue agave and hand-crafted to the highest standards. 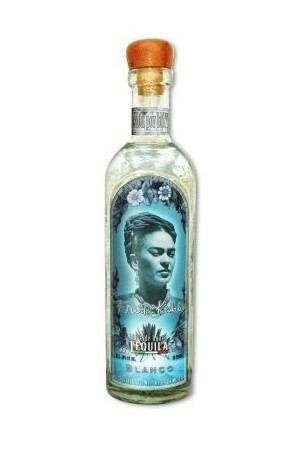 Frida Kahlo Tequila Blanco is naturally fermented for up to four days; the agave juices are then double-distilled in antique copper stills and bottled un-aged. The result is a smooth, super-premium tequila that mixes perfectly with your favorite drink.